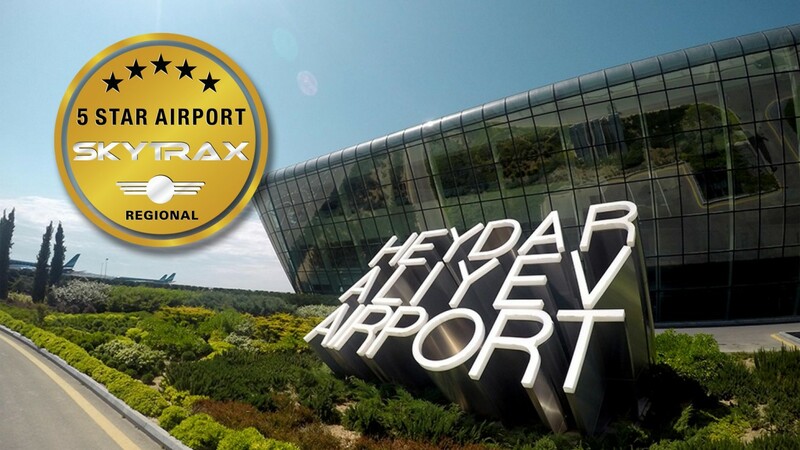 International air transport rating organisation, Skytrax, has awarded the 5-Star Regional Airport Rating to Heydar Aliyev International Airport in Baku, Azerbaijan. This 5-Star Regional Airport rating recognises those airports that are providing excellent facilities for customers, which combine with very high standards of airport staff service. 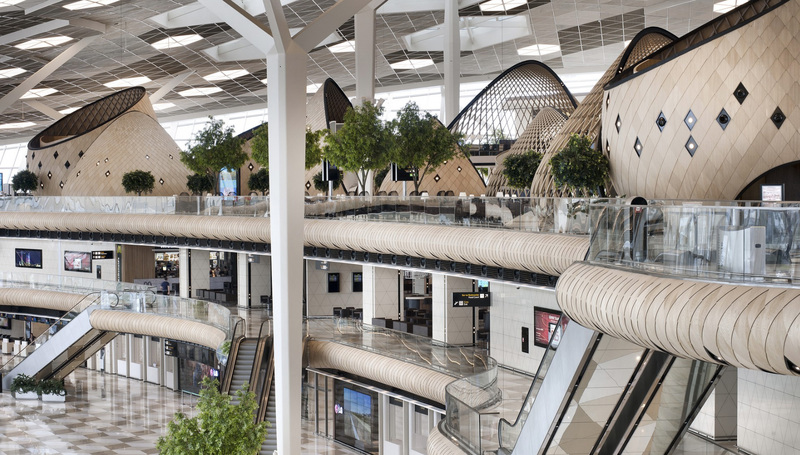 The overall efficiency of processes and customer ease of use for departure, arrival and transfer is fundamental to any 5-Star airport – regardless of size – and these are all areas where Heydar Aliyev International Airport delivers at a very high standard. Immigration processing has recently been streamlined, with the new e-visa system cutting down on waiting times and paperwork needed at the border. 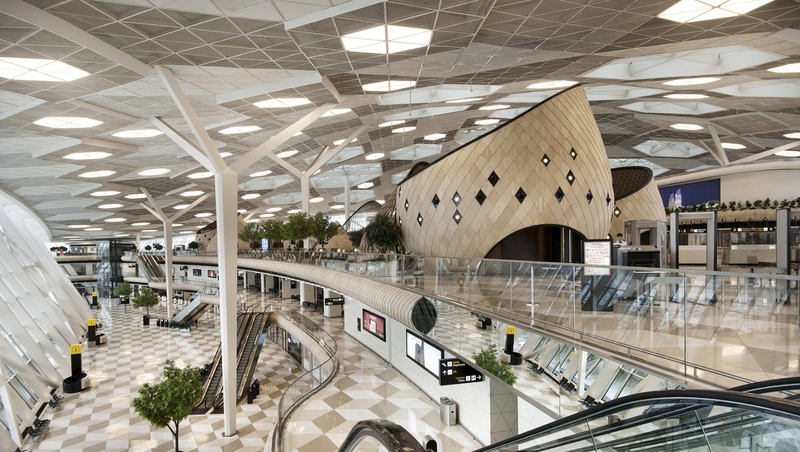 The airport’s “wow factor” is delivered through the impressive architecture, design and décor of the terminal, and the central showcase of this is the unique cocoon structure which accommodates the customer facilities and services. Cleanliness, condition and presentation around the terminal performs close to Best Practice for most of the core customer contact points, and outside of Asia, these standards are amongst the finest one might expect to find. In recognition of the growing transfer traffic coming from the national carrier, Azerbaijan Airlines, Heydar Aliyev International Airport has introduced a range of recliner seating products and also increased and improved the in seat power facilities available to customers. City connections are well organised with a direct express bus service to downtown Baku, as well as a range of taxi options. Sheraton Hotels and Resorts operate a 205 bed hotel within walking distance of the airport terminal, serving the needs of business and leisure travellers. Skytrax Airport Star Rating is a leading, professional Quality Benchmarking system evaluating standards of front-line Product and Service quality for airports worldwide. Airports are Rated using a complex, multi-faceted Product and Service quality assessment system. Airport Ratings are based on a comprehensive study of front-line airport product and service items. Criteria includes key items of process efficiency, terminal comfort and cleanliness, passenger facilities and staff service. Service ratings covers both official staff (immigration, police, security and customs), as well as more general airport staff (shops, restaurants and cafes, help counters etc).